The core vaccines protect against 5 serious diseases—here’s why your horse should never miss them. 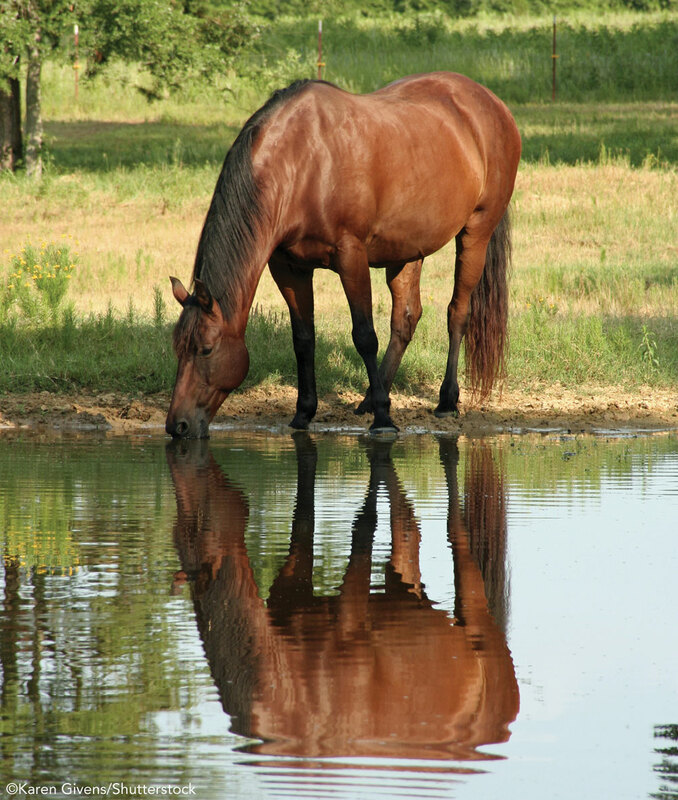 There are five horse diseases for which the vaccines are considered core, or essential, for all horses in North America: Eastern equine encephalomyelitis (EEE); Western equine encephalomyelitis (WEE); Rabies; West Nile virus; and Tetanus. The core vaccines are recommended for all horses due to the widespread and serious nature of those diseases. 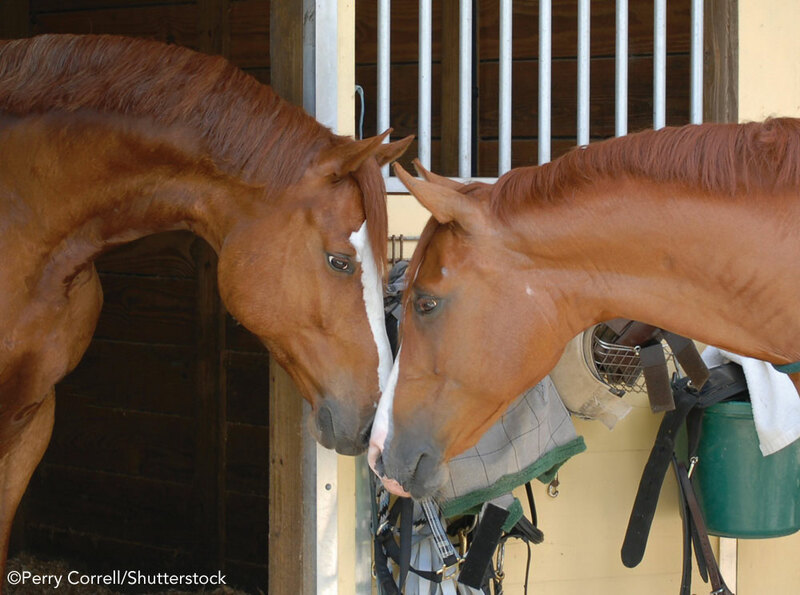 Risk-based vaccinations vary depending on the horse’s age, use, and geographic location. In the month of October 2018, the New York State Department of Agriculture reported three confirmed cases of Eastern equine encephalitis (EEE). All three were in unvaccinated horses, ranging in age from 3 months to 8 years. Two of the three were euthanized; the third horse was still alive, but showing neurological signs, despite medical care. 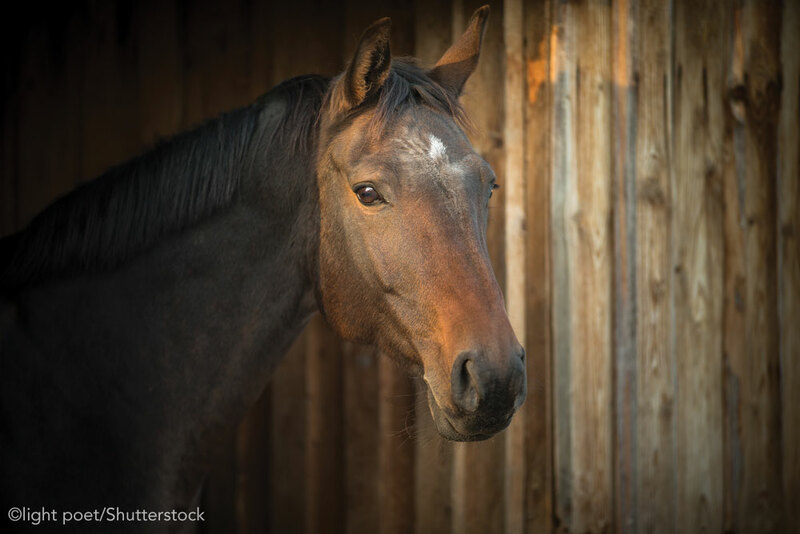 On November 2, 2018, the California Department of Food and Agriculture confirmed its eleventh case of equine West Nile virus in 2018. As of November 14, 2018, the state of Kentucky had confirmed 17 cases of West Nile virus so far for the year. Texas reported two confirmed cases of rabies in horses in 2017, and in April of 2018, a horse in the Texas Panhandle tested positive for rabies and was euthanized. In print, these are statistics. In real life, they are individual horses with unique personalities and abilities. Some lost their lives, and each one was impacted by a disease that could likely have been prevented with routine vaccination. Unfortunately, not all horse owners take this simple precaution. These are not diseases you want to gamble with. WEE is fatal in 50 percent of cases, while EEE has a 90 percent fatality rate; both are transmitted by mosquitoes. West Nile virus, which is transmitted by mosquitoes that feed on infected birds, is about 33 percent fatal, but 40 percent of horses that survive the acute disease are left with permanent neurologic effects. Rabies isn’t common in horses, but it is 100 percent fatal, and puts at risk the humans who have handled the horse. AAEP recommendations are for all horses—regardless of where they live, their age or use—to be vaccinated against these five diseases every year. “These are endemic diseases with high mortality rates—diseases that every horse should be vaccinated for every spring, no matter how old the horse, what he does, or where he lives,” says Jacquelin Boggs, DVM, ACVIM, an internal medicine specialist and senior technical service veterinarian with Zoetis. “These diseases also tend to be ones that are the more difficult to mitigate [in terms of] risk of exposure to the disease-carrying vectors,” says John H. Tuttle, DVM, director of equine professional services at Boehringer Ingelheim Animal Health. Tuttle refers to the various ways these core diseases are spread, including mosquitoes, bacteria in soil, rabid animals, et cetera. You can be the most careful horse owner in the world, but you can’t guarantee your horse won’t come in contact with one of these vectors that could introduce a potentially life-threatening disease. Your veterinarian can advise you as to which, if any, of these risk-based vaccinations your horse should receive in addition to the five core vaccines. Recommendations vary widely, depending on your horse’s age, living accommodations and travel/show routine. It can be difficult to limit your horse’s exposure to risk-based infectious diseases, which are often related to his use. For example, if your horse frequently travels to shows or events, his exposure to other horses increases his risk of respiratory disease, such as influenza. Your veterinarian knows your horse and your region, and therefore is the best person to evaluate the timing of vaccines and their frequency. Some horse owners mistakenly think that certain diseases aren’t found in their part of the country, so they neglect vaccinating for them. “Every year there are cases of horses contracting one of the core equine diseases, and these most often occur in unvaccinated horses,” says Boggs. Occasionally, owners will neglect to vaccinate senior and retired horses. “A common misconception is that as a horse gets older, his need for vaccination decreases [because] he may have been ‘exposed’ to the disease before, or previous vaccinations should be sufficient,” says Tuttle. However, this isn’t the case. As a horse ages, his immune system experiences age-associated decline, a process known as “immunosenescence.” This may lead to decreased individual immune efficiency and should be taken into consideration when developing a vaccination protocol for senior equines. Bottom line: Older horses should continue to be vaccinated against all five core diseases. The antigens contained in a vaccine are considered foreign by the horse’s immune system. In response, his body takes defensive action by producing antibodies to neutralize the antigens, building defenses against that specific disease. This doesn’t happen overnight. Generally speaking, it takes about two weeks after vaccination for the horse’s immune system to develop a sufficient level of protection against exposure to the actual disease. In the case of young horses or horses that have never been vaccinated, these inoculations will require boosters, often four to six weeks later. After the initial vaccination, all horses require annual booster shots to maintain protective levels of immunity. Depending on where the horse lives and his exposure, a second booster may be advised each year. For example, horses living in regions where mosquitoes are prevalent often receive boosters for core vaccinations in both spring and fall. Even if your horse is annually vaccinated for tetanus, you’ll want to give him another booster if he gets a wound and it’s been longer than six months since he had his last tetanus shot. As horses age, their immune systems decline, so core vaccines are still very important for seniors. Sure, you can buy equine vaccines at your neighborhood farm supply store or online, but should you? A benefit of having your veterinarian out to vaccinate is feeling confident that they’ve properly handled, stored, and administered the vaccines. And in the unlikely, but still possible, scenario that your horse has a negative reaction, your veterinarian is already familiar with the exact vaccine product that was given. If you haven’t scheduled your horse’s spring vaccinations yet, now is the time to call your vet and set up an appointment. In the scheme of things, vaccinations are relatively inexpensive. Besides, you can’t put a monetary value on the peace of mind you get from knowing your horse is protected.